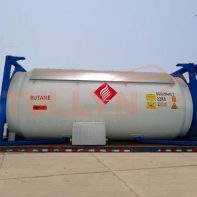 The swap body tank container allows transport at larger volumes. 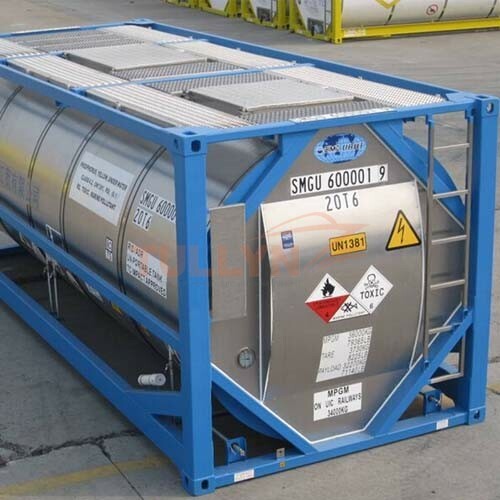 The swap body tank container is an IMO 1 or IMO 4 container with a capacity range between 30.000 and 35.000 liters. 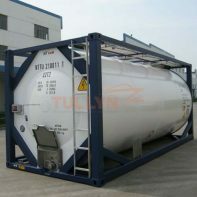 This tank container is ideal for intermodal transport. We offer swap body tank containers for food stuff or non-food (chemical) products with additional heating elements (steam or electrical heating), with or without baffle plates to allow for partial loading and with a remote-operated airline improving safe working. 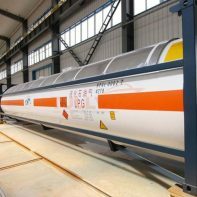 Other safety-related fittings or connections improving the operational flexibility can also be attached. 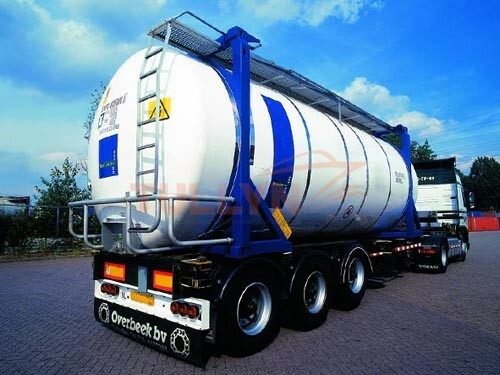 Vessel linings in PTFE, PFA, rubber, plastic, resin etc. Corner castings To ISO 1161 Top: tank fitted with four ISO standard castings, width over casting: 2438mm. Obstruction plates welded in side facing apertures to prevent use. Bottom: 8 off Chamfered Overland castings, 4 fitted at front offset 20’ position, width over casting: 2550mm. Side Lifting Pockets Lifting holes for lifting in the empty condition are provided at top of corner posts. Handling Damage Protection Miss stacking stub tubes fitted, protection plates fitted to top and bottom faces of frame members adjacent to corner castings, stainless steel wear plates fitted to side faces of corner posts at midpoints.